Dies R Us: A Touch of Country! It's Wednesday again & its my turn to offer you another inspirational idea that may get your craft mojo going! Today I thought I would add a little touch of country! If you are like me, one of the first things you think of when you think of country touches are the beautiful handmade quilts. Well, now you can have the look of a beautiful quilt without touching your sewing machine! By using dies you can have that beautiful look of quilts in just minutes. Today I am using Spellbinders Angle Approach and Taylored Expressions Ric Rac Borders. There are 3 dies in the Angle Approach. I used the middle size on this first card and the largest & smallest on the second card. The dies come with complete instructions for folding & it takes you just seconds to create these gorgeous quilt pieces. The design on these dies is pure genius! On the second card, I popped the center up with a pop dot for more interest and added the ric rac. I used double sided paper on my cards, but you could just as easily use any beautiful designer paper you like. These cards would be perfect for birthdays, thank you's, get well, thinking of you or as a set of note cards for a special gift for someone dear. I hope you have been to visit Mikha & Darlene already. And don't forget to come back the rest of the week to see what Robin & Alicia have in store for you! 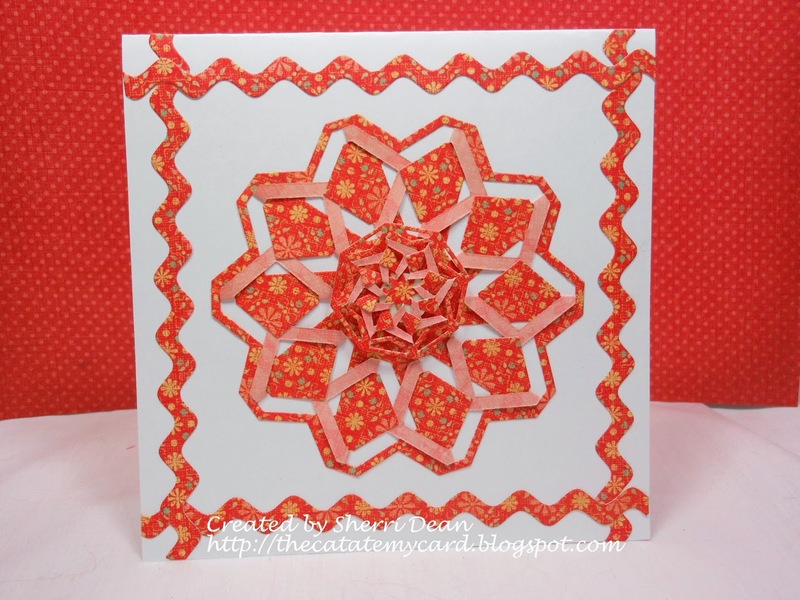 Be sure you are joining our twice monthly challenge blogs at Dies R Us too! Lots of fun and ideas & a chance to win a gift certificate to the store! Until next week, happy creating! OMG this is SO clever Sherri ... LOVE IT! How fun! It definitlly has the look of a quilt...Both cards are wonderfully designed! I think I am liking the 2nd one the best...Thank you for sharing this with us. Love the quilt look. A card quilt is about the only quilt that I could afford. With this card, I could enjoy the beauty of a quilt and share with a friend. Great cards! 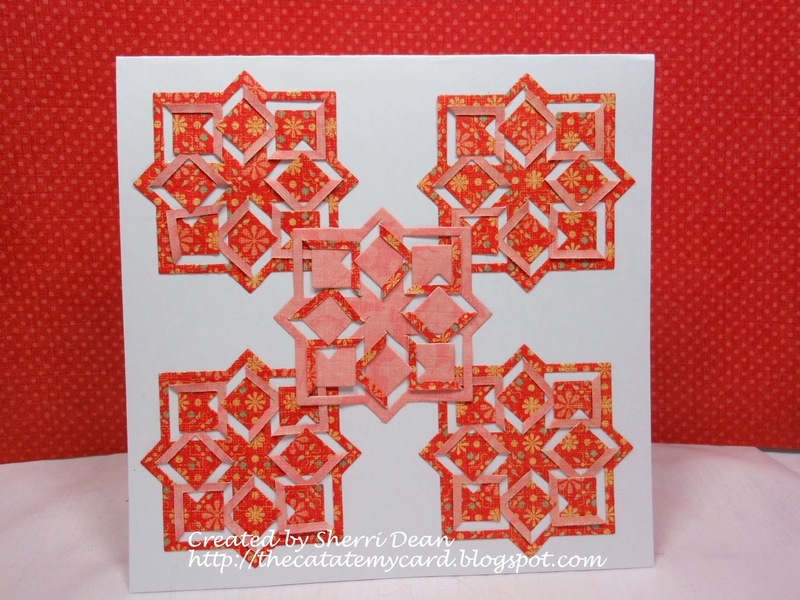 Just love the quilt block look of your design! Great colors, amazing use of dies! Another card done well! great quilt card. my mother quilts with fabric, I dont have the patience for fabric so I can do this instead for her!